PLANO, Tex. 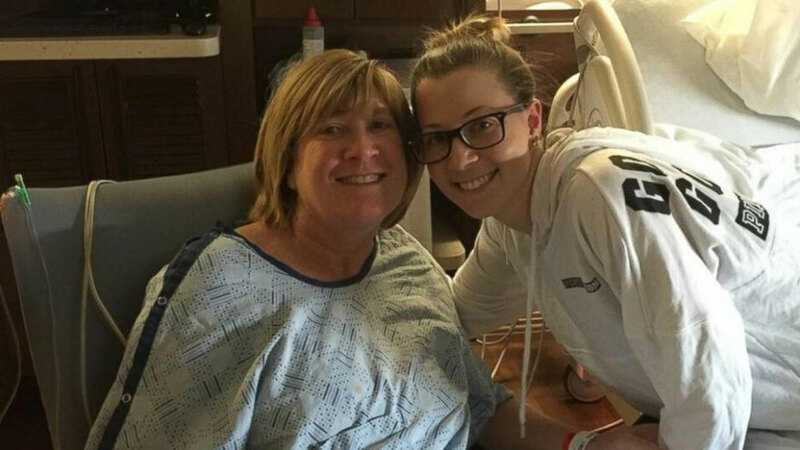 -- A 53-year-old woman gave birth to her own granddaughter after successfully acting as a surrogate for her 28-year-old daughter. After Kelley McKissack's third miscarriage last year, her mom Tracey Thompson offered to be her surrogate, according to ABC News. "Believe it or not, it came up when she was 13," Thompson said. "When she was a teenager, she said, 'Mom, if I can't carry my own baby, would you carry my baby?' I said, 'Of course,' not dreaming that I would be doing it." McKissack and her husband Aaron had struggled for three years to have a baby, unsuccessfully. "She's a special kind of woman," McKissack said of her mom. "She's strong. I don't think many people could do what she did with all that she had to go through to get there." McKissack was in the delivery room to watch her daughter being born, calling it "the most perfect gift ever." The newborn is named Kelcey, a combination of her mother and grandmother's names. The family says they plan to have Kelcey call Thompson "grandma," but will tell her the whole unique story about how she came into the world. "We want her to know exactly how it happened and for it just to be normal for her," McKissack said. "She should know just how special and wanted she is." Both Thompson and Kelcey are doing well after the delivery by C-section. Kelcey weighed in a 6 lbs. 11 oz.